More Lebanese women entering politics. Pakistani Women In Politics: Slow Progress, Mighty Obstacles. 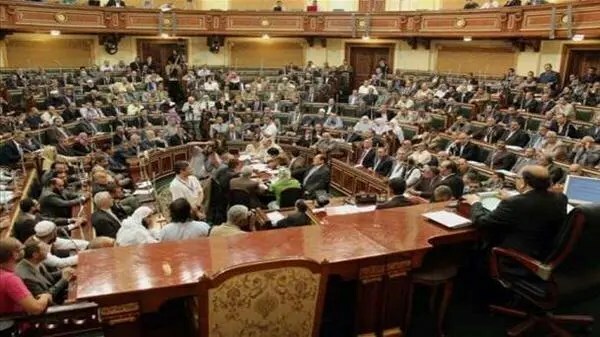 Egypt rights groups demand quotas for women in parliament Al-Arabiya Egypt’s womens rights groups are demanding that a future constitution currently being drafted include a quota for their participation in parliament. Across the country, women’s rights organizations are holding conferences and lobbying campaigns to ensure their representation in the parliament. The Egyptian Women Union this week invited members of the panel drafting the constitution to a meeting to discuss the role of women in Egypt’s political roadmap. More Lebanese women entering politics Channel News Asia At the end of 2011, women made up about 10 per cent of all parliamentarians in Arab states – far below the 19.5 per cent figure worldwide. However, some women in the region are making small steps into the political arena. Lebanon has a reputation as the most liberal country in the Arab world. Here, women can wear western dress and party but this equality does not translate into the political scene. The percentage of women in the Lebanese parliament is one of the lowest in the world, with only four women from a total of 128 seats. Finnish female politicians highlighted by World Bank’s 2012 gender … Wikinews Earlier this week the World Bank released the 2012 World Development Report on Gender Equality and Development. The report noted relatively high numbers of women participating in Finnish politics, and credited the Council for Equality between Men and Women in Finland with progress. Women need media visibility – and quotas – for next elections The Daily Star BEIRUT: Professionals and media personalities discussed Friday the importance of promoting the visibility of female leaders and the need to establish gender quotas ahead of the next parliamentary election round. The calls came at the conclusion of a training program entitled “Media Supporting Women Leaders: Women Towards Parliament.” Andre Kassas from the Information Ministry presented more than 30 members of the media with awards for their participation in the program. The nine-month program, a joint effort by local advocacy organizations SMART Center and Women in Front, educated journalists and broadcasters about the importance of featuring professional Lebanese women in the media. Neighbourhood watch: Campaigning kicks off as Karzai’s brother …The Express Tribune Women rights activist Fawzia Koofi launches movement to ensure female participation, plans to … Her aim is to ensure female participation in the elections. Next postUK: Cameron has a women problem. Cameron gears up to say hello again to Mondeo Man. Labour MP Blasts Cameron’s Record on Women.